Gangavaram Port today organized special Independence Day celebrationsat the port premises to mark the historic 70 years of IndianIndependence. 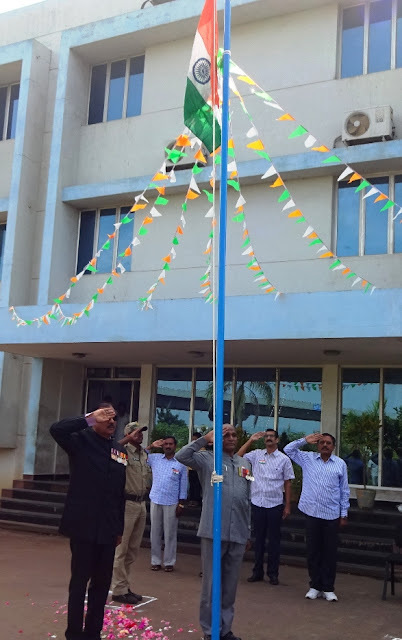 To celebrate this momentous occasion Sri K RajaRatnam Naidu, Senior Vice President (R&R and Security), Gangavaram Port Limited hoisted the National Flag in the presence of the employees at Gangavaram Port. The event was organized to spread the message of peace and prosperity. The staff participated with great zeal and patriotic fervor.